There are two main styles of Reading Glasses. Full frames, in which the entire lens is made in the reading prescription. “Half-eyes,” which are the smaller “Ben Franklin” style glasses that sit lower down on your nose. Full reading glasses are suitable for people who spend a great deal of time concentrating on material close-up. These give you a larger field of view for reading, but if you try to look up and across the room through them, everything appears blurry. In contrast, “half-eye” reading glasses allow you to look down and through the lenses for near work, and up and over them to see in the distance. Generally, people who have never needed glasses in the past will start out with a pair of reading glasses rather than progressive lenses or bifocals, which are usually a better choice if you have a need for distance as well as near correction. Handy accessories for temporary use, such as an evening in a dimly lit restaurant, include tiny fold-able readers that fit in pen-sized cases and magnifiers that hang around your neck like a pendant. 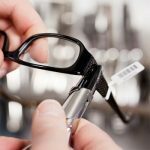 Reading glasses can be custom-made for each individual through an optical dispenser, or they can be purchased “ready-made” at a pharmacy or department store. 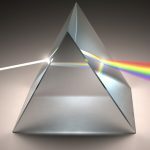 Ready-made readers became popular in the 1990s: three times more pairs were purchased during that decade than ever before, at an estimated rate of 30 million pairs per year. They are less expensive than custom eyewear, allowing you to own several pairs for a small amount of money. 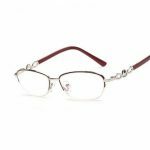 Ready-made reading glasses are available in lots of fun styles and colors, too, so you can experiment with fashion, purchasing a somewhat outrageous pair of glasses without risking a lot of money. If you don’t like the style, you can always get another inexpensive pair with a more conservative look. 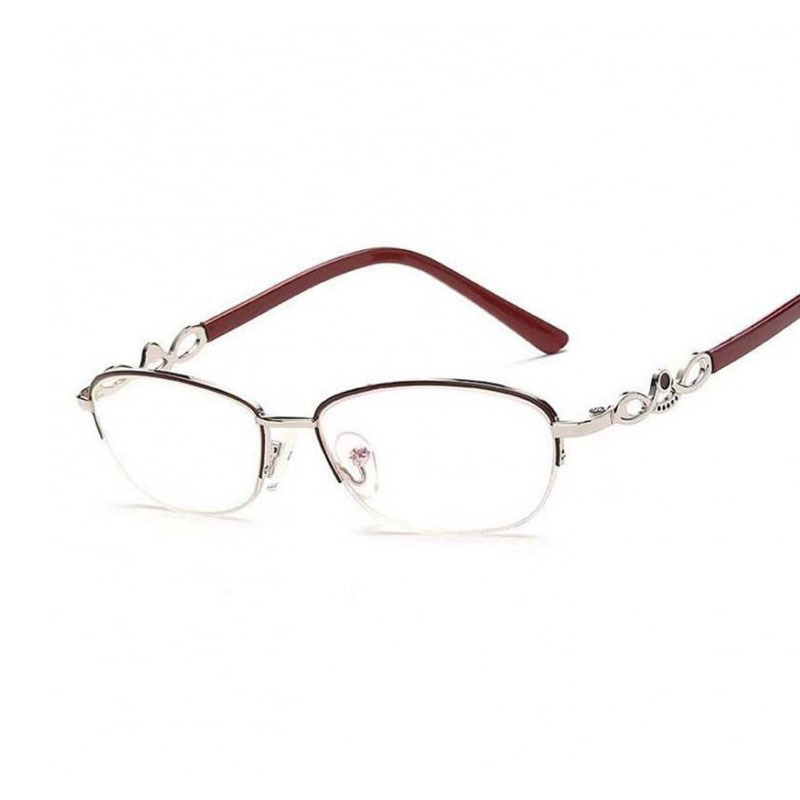 Pre-made reading glasses also allow you to stash extra pairs in different rooms of the house, as well as in your car, office, briefcase, purse, boat, and so on. One drawback to purchasing ready-made (“drugstore”) reading glasses is that they are essentially “one-size-fits-all” items. The prescription is the same in both lenses, and the location of the optical center of the lenses is not customized for each wearer. 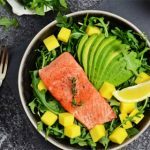 Most people do not have exactly the same prescription in both eyes, and almost everyone has at least a small amount of astigmatism correction in their prescriptions. When choosing ready-made reading glasses, always examine the lenses for little bubbles, waves, or other defects. 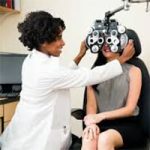 Insist on the best quality, and if you can’t find it in ready-made readers, buy a custom-made pair, which many eye care practitioners offer at special prices. Anti-reflective coating on custom reading glasses eliminates eye strain caused by distracting lens reflections. Photochromic lenses in custom-made reading glasses protect your eyes from UV and high-energy visible blue light from digital devices — and darken automatically in sunlight if you like to read outdoors. Even if you don’t need prescription eye-wear for distance vision, you may find that progressive lenses are a better option than readers — especially if you’re a multi-tasker and you need to be able to read and see clearly across the room at the same time. Finally, special “office” progressive lenses also are available that give you a greater depth of focus at your work area than store-bought readers.